Marita Lynn Ezell was born in Muskegon, MI on November 28, 1966 to Eugene and Bernice (Jackson) Ezell. 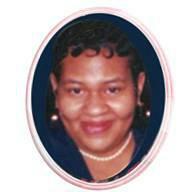 She attended Muskegon Heights Public Schools and was a member of the graduating class of 1984. In her youth Marita she was very outgoing. She lived life to the fullest. She enjoyed having fun, socializing with friends, attending family reunions in Milwaukee, Wisconsin and traveling, including trips to Gary, Indiana to visit her uncle and his family. As an adult Marita was deeply committed to her family. She loved her children, and even as adults she continued to mother them, doing whatever she could to help them. She embraced her nieces and nephews as if they were her own. Whenever her family was in need Marita went to any length possible to meet the need. She loved her family just that much! She was an immaculate housekeeper and enjoyed entertaining family and friends, telling jokes, shopping, spending time with her grandchildren and cooking. She was famous for her taco salad on taco nights. Marita’s goal in high school was to peruse a career modeling and to work in the field of Nursing. She accomplished her goal in nursing and her past employers include East Park Manor and Brookhaven Nursing Center from which she retired due to her declining health. Although she did not become a professional model, she was a beautiful person, inside and out. Marita transitioned into eternity on Wednesday, December 12, 2018. She will affectionately be remembered by all who loved her as a kind, caring person. She will never be forgotten. She is survived by two sons, Marcus and Marlon Ezell; one daughter, Lotticia Ezell; grandchildren, Demarrio Ezel, Lineil Ezell, Braylon Moore-Ezell, Lamarlan Ezell, Makailynn Ezell, Jamarlon Ezell, Miaysia Ezell and Marilah Bernice-Ezell; her mother, Bernice Ezell; two sisters, Darla Jackson-Ezell and NaQuanna Ezell; one brother, Joseph (Martina) Ezell all from Muskegon; a special aunt and uncle, Willie Ruth-Ezell (Willie) Byrd of Milwaukee, Wisconsin; a great great uncle, David Cook; a great aunt, Laura Sue Thornton; special friends, Roslyn Dye, Jennifer Stuart and Timna Terry and a host of aunts, uncles, nieces, nephews, cousins and friends, each who knew the special place they held in her heart. Marita was preceded in death by her father, Eugene Wilson Ezell, grandparents, Annie Mae Ezell, Joseph Willie Ezell and Earl Robert Jackson, Sr., and one grandchild, Kya Marie Ezell. Thursday, December 27, 2018, Noon with visitation one hour prior to the service at the Clock Chapel-Muskegon with Carla Hines officiating. MEMORIAL: To the Family.